full amount will be charge for any event of cancellation, no show or reduction in numbers. 30% of the total reservation price required to pay in 7 days after booking. 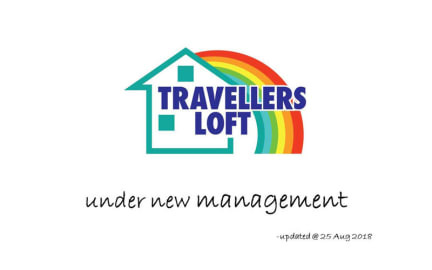 (Updated 25 Aug 2018) Travellers Loft is now under new management. We are 3 km away from the popular shopping hub, Orchard Road. Changi International Airport is 20-minute drive away. While Travellers Loft does not house any restaurant, guests can sample various local delights available just a 5-minute walk away. Please note that the front desk is open from 8am to 11pm and closed from 11pm to 8am daily. Guests are required to show a government-issued passport with photo and credit card upon check-in for verification purpose. Air-conditioning will only be operating from 7pm to 10am daily; Dorms are fan cooled during the day. Kindly inform us in advance of your expected arrival time. You can use the Special Requests box when booking, or contact the property directly with the contact details provided in your confirmation. *Please note that late check-in will only be prepared for those who informed us in advance and only applicable for those who cleared the balance of his/her booking. A $20 key deposit is required for incidental charges upon check-in. The deposit is fully-refundable after returning the key upon check-out. *Deposit will be forfeited for late check-out. An additional charge of one night’s stay applies for check out after 14:00. The property will not refund for your stay in the event of an early departure. Guest who fails to show up for a reserved bed/room without notifying the hotel will be consider as No-Show after 12pm (next day of the arrival date) and property has the right to cancel the booking. Please note that if cancelled, modified or in case of no-show, the total price of the reservation is be charge. For non-refundable bookings, full payment will be charged upon reservation made. Minimum age accepted in sharing dormitory is 16 years old. Below 16 years old are only allowed stay in private room. Guests travelling with young children are requested to inform the property prior arrival. Children above 3 years old will be charged as regular guests. Extra bed is not available in sharing dormitory. Please contact property directly for the availability if additional bed required. 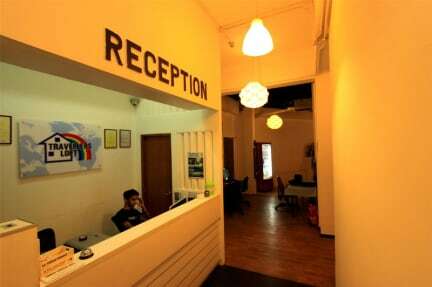 For guest who wish to stay continuously more than 15 days, kindly contact with us before booking. Room/bed may need to shift on certain days. The management reserve the right to refuse guest deemed unsuitable.